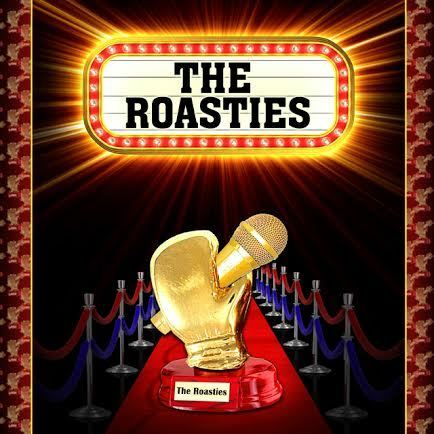 While the Montreal battlers get prepared for their first night on TV (which you should all tune in to, obviously – Comedy Central at 10 PM), back in LA we have finished tabulating all the ballots for this year’s Roasties! Thank you all for submitting your votes, but above all, thank you all for sticking with the show. It’s a very exciting time to be part of Roast Battle and the crew couldn’t be happier. Without further ado, let’s rip open some imaginary envelopes. …Joe Dosch vs. Earl Skakel! This bout was one of the Belly Room’s most memorable. 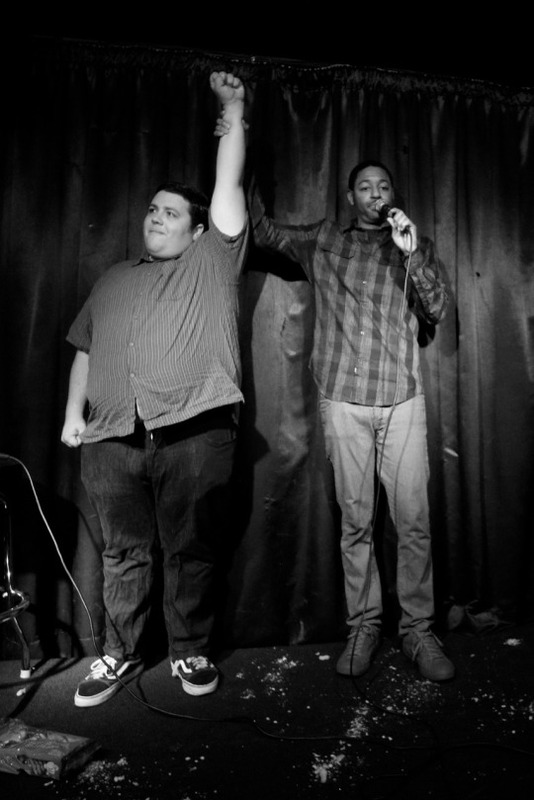 Not only did these two practically go joke-for-joke, but they each brought an incredible intro – Joe with the Mean Boys Wave, Earl with his Undertaker-style entrance – and capped off the proceedings with their fierce tandem takedown of judge Joe DeRosa, a nominee for Craziest Moment based on the sheer level of attitude they had to muster up. The way they whipped the room into a frenzy is cause enough for this award, and, frankly, this pair deserves all the praise they get, since they’re two of the most fearsome battlers in the game. 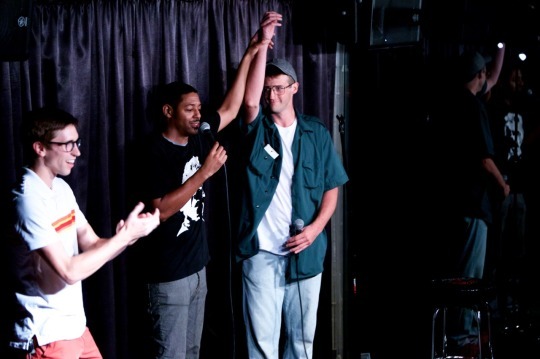 Dan made a splash in the Roast Battle community by racking up an impressive 10 fights in his first year competing, earning 7 wins and making the top 10 in the ranks a couple times as well. Dan is a consummate pro at every show he does for Roast Battle, with some of the most creative jokes out there and an endearing, yet gnarly grin on his face every time he steps into the ring. Can’t wait to see what this year has in store for everyone’s favorite ex-addict! Pat’s last loss was because he didn’t have a comeback to a decimating joke involving the miscarriage he and his wife suffered. 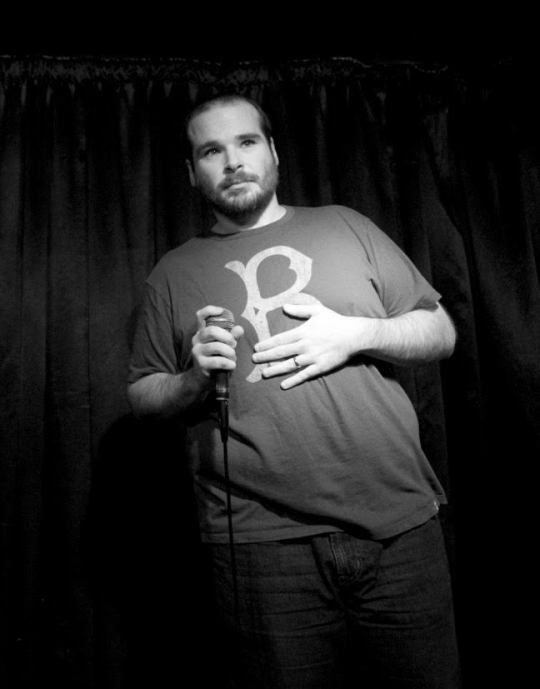 In his next battle, he made absolutely sure that wouldn’t be an issue, cooking up this beautiful joke that combines his own personal pain with a fantastic slam on his opponent that night, the formidable Keith Carey. It’s no wonder Pat got a job writing for HBO after tearing up the room as often as he has – when you can turn weakness or tragedy into comedy as deftly as Pat did here, you deserve all the paid-cable money you can get. Mike is a force to be reckoned with. Battlers most often have to reckon with him while he sits in the VIP section, slinging out piercing lines quicker than almost anyone else to sit alongside the firing squad. Mike is not just one of the best judges we have, either; he is also a feared battler in his own right, currently taking his talents to Montreal for the Comedy Central tapings. He also is one of the producers behind the Roastmaster-approved New York version of the show at The Stand, bringing the craziness to the mean Manhattan streets and helping steer the proceedings up there. It’s safe to say that the show wouldn’t be the same without him there. 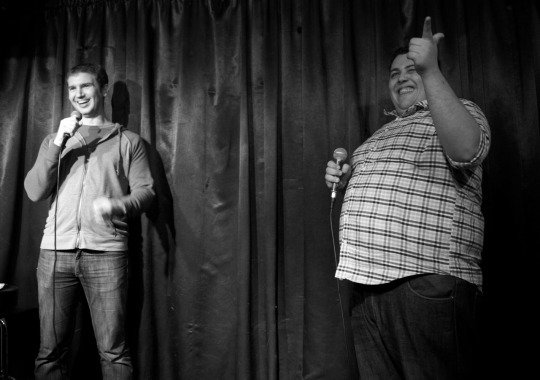 …Doug Fager’s takedown of Tony Hinchcliffe! In a rare moment, Tony was rendered speechless as members of the VIP section stood up to applaud Doug while the Wave jumped around him in a frenzy. In a year of memorable moments, this one sticks out in everyone’s mind as one of the absolute best. Well played, Fager. …Toby Muresianu over Keith Carey! It’s hard to take down Keith Carey. Believe me, I’ve tried. But when this unassuming Bostonian did it – and did it with style, might I add – the room was pleasantly surprised. Toby is a whip-smart writer who proved here that while Roast Battle is full of dominant forces, this is a game that anyone can win if they prepare well enough. I wouldn’t be surprised if he flirted with a spot in the top 10 again soon. We’ll see how his next bout shakes out. …Pat Barker vs. Keith Carey! The consensus choice is also the correct one. 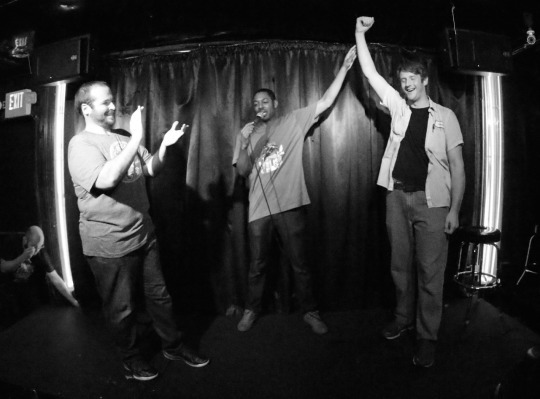 Pat and Keith put on a Roast Battle clinic with their fight, going completely joke-for-joke, forcing triple overtime, and earning a standing ovation from the crowd. Every battler should strive to be as well-prepared as these two were that night. 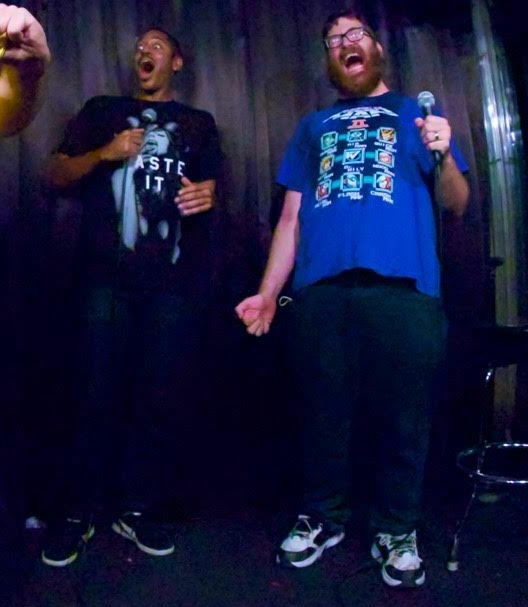 There’s a reason these two command such respect in the Roast Battle community, and it’s because they know how to show up, put on an amazing show, then head right back to work on whoever their next opponent is. Well-played, boys. Remember earlier, when I said that there was a devastating miscarriage joke that Pat Barker had no comeback for? This is that joke. Impeccably crafted and impossibly cutting, Dan Nolan’s work here is nothing short of stunning. It’s the ultimate verbal gut-punch. No wonder he won Rookie of the Year; if a newbie can come in slinging jokes like these, then he should definitely be respected. 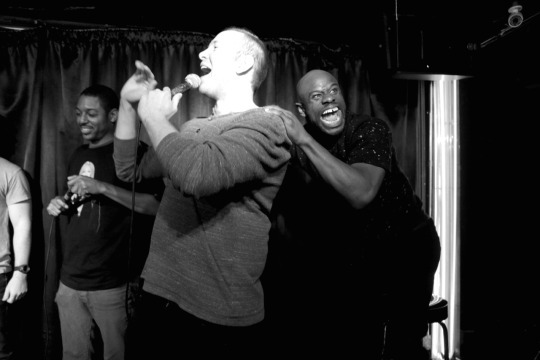 When it comes to Roast Battle, Keith is in a class all his own. 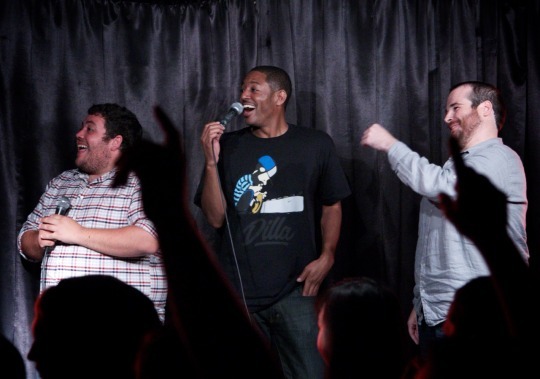 One of the only battlers to consistently stay in the top 5 of the ranks, Keith is a sharp writer, a battering ram of a performer, and, on top of it all, one of the most refreshingly straightforward comics in the scene. He is one of just a handful of battlers to compete more than 10 times, and he’s fought performers of all stripes over the course of his illustrious battle career. How illustrious, you ask? Well, Keith did win this award last year, if that gives you an idea. Congratulations to all the winners! Don’t forget to tune in to Comedy Central tonight through Sunday to catch Roast Battle as it takes over the channel and warms America’s heart through hate! The fun starts at 9:30 ET & PT/8:30 CT with a re-run of Road to Roast Battle, followed by the main event from Montreal every night at 10 ET & PT/9 CT.